Here’s some additional information to consider as you prepare for tomorrow. We look forward to seeing you then. Go to alabama2013.thatcamp.org/wp-login.php, and enter your username and password to log in. Tell us about your idea, select “Session Proposals” and any other appropriate categories, then click “Publish” on the right. See Propose a Session for more information about making proposals- including example proposals from other THATCamps- and more explanation about why things work this way at THATCamp. Once posted, the proposals will appear at alabama2013.thatcamp.org/category/session-proposals/. 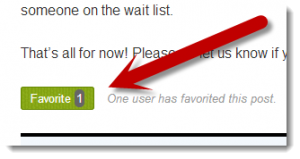 Please read and comment on the proposals, and use the “Favorite” button to indicate which sessions you’d like to see at our THATCamp. All activities, with the exception of Friday’s reception and informal gathering, will take place in Lloyd Hall. On Friday, THATCamp attendees should park in the Campus Drive Parking Deck and exit with no charge (any legal parking space is fine on Saturday). Additional information, along with a Google map you can use to get directions to these locations, is available on the Travel page. There will be signs posted in the deck and along the route to Lloyd Hall to point you in the right direction. The accessible entrance to Lloyd is on the street level at the front (Quad) side of the building. A quick schedule is posted, along with the full schedule we’ll be filling out together during our scheduling session Friday. The check-in desk on the first floor of Lloyd opens at noon on Friday and 7 a.m. on Saturday and will be staffed throughout each day. When you arrive at THATCamp, please stop by to pick up your name badge and let us know you’re here. A Workshops page has been added. Several meals and snacks will be provided. Details are available in this blog post. You are encouraged to bring a laptop or tablet computer so that you can consult the website, follow @THATCampAL and the #THATCamp hashtag on Twitter, and try out the new tools and sites you’ll learn about. THATCamp Alabama attendees have been provided with access to the UA-WPA-PSK network. Instructions and passwords for connecting to the network and registering your device were emailed to you this morning so you can save and/or print them in advance. A few copies will also be available at the check-in desk. You are encouraged to dress comfortably and casually. Nursing mothers needing lactation accommodation: please be in touch with us so we can prepare a space for your use. Please tweet with the #THATCamp hashtag. There’s an event page for the Facebook crowd. Write us at moc.l1555944724iamg@1555944724lapma1555944724ctaht1555944724 with any questions. We look forward to seeing you next week. Melissa, I’m not seeing a “favorite” button. What am I missing? That’s what I had done (or not done) anyway. Hi Tom! 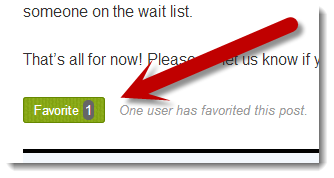 Lindley is correct; the “Favorite” option appears when you are logged in. I love that you posted that video here. 🙂 AAAAnd I’m still singing it. Well really it’s just the opening part. Makes entering a room just that more dramatic. Dadadada! Dadadadada! Yep, that was it. I thought I was logged in, but found out later I was not. Thanks.